Black Friday is no longer just a day for the retail giants to offer tempting discounts to bargain hungry consumers, it is now something retailers of all sizes (some reluctantly) are getting involved in. 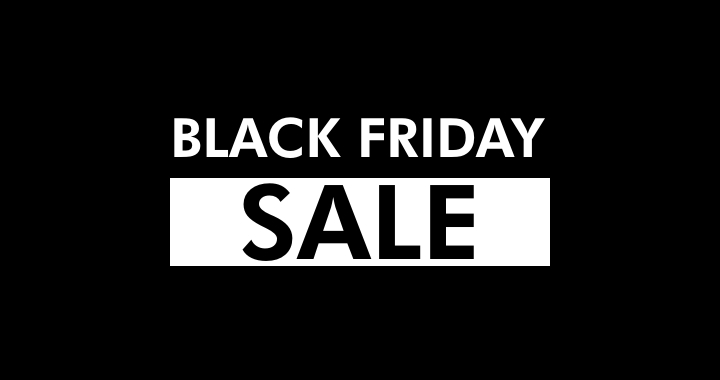 As you probably know, Black Friday originates from America – it’s always the day after Thanksgiving when US retailers have drastically cut prices with one-day sales. And in recent years the day has been steadily growing in Britain, with most of the country’s largest retail brands offering promotions both in-store and online. Looking to this year, there are now only 28 days to go until Black Friday, which is on November 23. So how can small to medium retailers ensure that they get the most from this day and receive their share of the projected £1bn spend? Smaller retailers can also learn from the problems experienced by the big boys. Often retailers’ websites crash on Black Friday due to unprecedented demand. So prepare your site for increased traffic. If your site is not already mobile compatible, ensure it is as, according to IBM, well over half of last seasons’ traffic came from mobile devices. We hope you have a successful Black Friday!